Leadership Archives - Read. Think. Act. 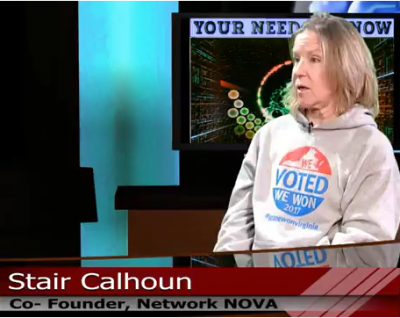 (Dec 6, 2017) Catherine Read interviews Stair Calhoun, founding member Network NoVA. Dedicated to involving women in politics, Network NoVA was founded by Stair Calhoun, Katherine White and other activists who had participated in the Women’s March of January 2017. These grassroots activists organized women in support of Democratic candidates for the Virginia House of Delegates election of 2017. 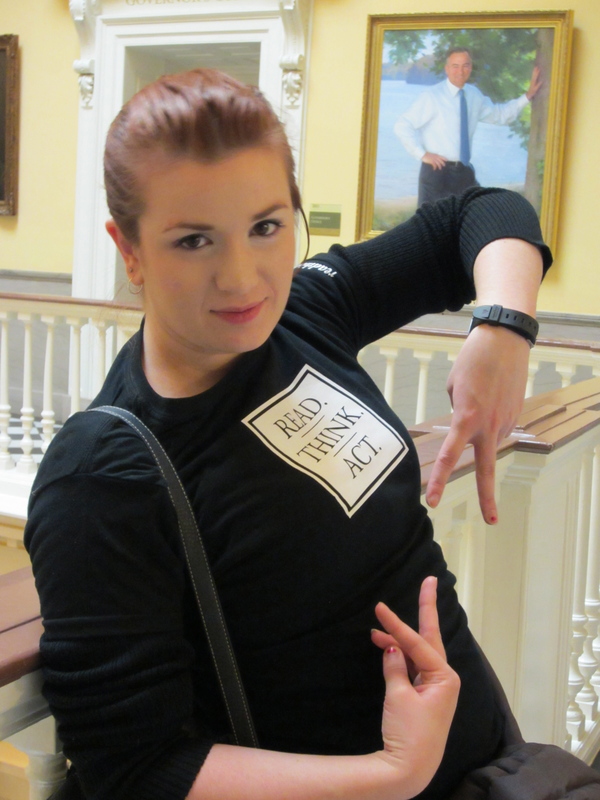 Following the 2016 Presidential election local women, including Stair Calhoun, sought to find ways that they could make their voices heard in politics. Seeking to make the biggest difference possible, they organized themselves into Network NoVA. Their organization has since gone from strength to strength organizing a Women’s Summit in June of 2017 and backing Democratic candidates in the 2017 election. Dedicated to keeping local people involved, their summit was organized by a group of 7 women in less than 70 days, but still had hundreds of attendees, including 30 state delegates or delegate candidates and a number of sponsorships. Stair Calhoun attributes their success to both their willingness to innovate and the inability to take no as an answer. Network NoVA’s newness aided them in providing a place to try new ideas without the inertia of the old. They agreed to back any candidate whom they believed best represented the women of their district, regardless of their perceived chance of winning, and tried new techniques to encourage women to vote. They involved children in making personalized reminder cards, which encouraged women to make voting plans in advance to support of their motto “When we vote, we win.” Further, they produced more than 17 different short videos in support of various candidates. Currently, Network NoVa is working on contacting newly elected delegates to find out how to best support them, as well as creating plans to keep constituent pressure on legislators in Richmond on a range of topics including gun reform, the ERA amendment, Medicaid expansion and redistricting reform. To do this Network NoVa is creating VAPLAN, the Virginia Progressive Legislative Alert Network, a centralized way to keep people informed about what the state legislature is doing. They seek to create a system where people can check on what their legislators are doing on the issues important to them in an easy manner without being inundated with other information. Network NoVA has partnered with a number of other organizations, including Democratic Promise, in order to try and reach out to rural Virginians. Democratic Promise is an organization based around the idea of reverse constituent services. They contact people in rural Virginia and seek to learn about the issues and problems they currently face, then put them in contact with the services that could solve them. They seek to keep politicians focused on local issues even between elections. Going into the future, Network NoVA is seeking to expand their membership. They’ve already begun preparations for their 2018 Women’s Summit, and signups are already available. Topics at their June 23rd summit are planned to include how to get out the rural vote, Democratic Promise and the involvement of new technologies in elections. Network NoVA has also begun their initial planning for the 2018 congressional elections, where they seek to back Democratic candidates in the 1st, 2nd, 5th, 6th, 9th and 10th congressional districts, and even hope to support candidates in every district. Overall, they seek to get people involved in politics, while also seeking out the ways they can use Network NoVA to serve the needs of all Virginians. This book is excellent. Not so much that it’s groundbreaking material, but the research and personal stories validate what most of us already know about what it takes to be perceived as a “leader.” To get the most out of it, you need to be in the frame of mind that values “what it is” over “how it should be.” While the book is not gender specific, author Sylvia Ann Hewlett’s research points to the greatest challenges for potential leaders and those challenges happen to fall heavily upon women and minorities. There is little doubt that women face substantial challenges in navigating their way to the top in a culture where male leaders predominate and always have. 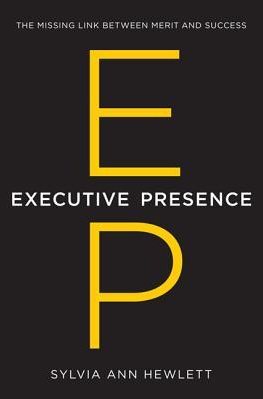 If you are serious about developing your Executive Presence (EP) this book will be invaluable. A wide and varied range of subjects is addressed, including the tension between conformity and authenticity. While that is an individual struggle we all confront at some point, the hurdle is a bit higher for women and minorities. “For these historically underrepresented groups are dealing with a double whammy. Not only do they need to shape and mold their identities to fit an organizational culture (something everyone faces), but they’re required to ‘pass’ as straight white men. Why? Because this continues to be the dominant leadership model. Eighty-eight percent of those who sit in corner offices on Wall Street and Main Street look this way.” I would add to that – 65% of everyone elected to office as well. 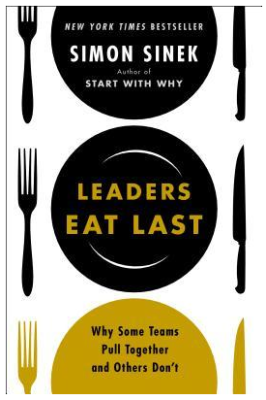 I loved his previous book “Start with Why” and would recommend reading that book before this one. His TED Talks on both books are inspiring. Simon Sinek’s view of leadership very much mirrors my own. People with the title don’t always have the ability, and people with leadership abilities don’t necessarily have any title at all. Think about Gandhi and MLK Jr. – leaders without titles. Leadership is plural and organizations have leaders that emerge at every level – whether informally or through training and promotion. Leadership is centered around how we view our responsibility to other people. “Leadership is always a commitment to human beings.” I agree with that. He goes on to to say “All we need are leaders to give us a good reason to commit ourselves to each other.” That concept is evident in the military and on sports teams, but it’s equally true in other organizations as well. The Next Generation – Gen WHY? The generation that rules the world (in whatever age you care to name) seems to be consistently concerned about the moral and intellectual fabric of the upcoming generation that will take their place. From flappers to bobby soxers to video gamers, young people are the outsiders that somehow don’t seem quite up to taking their place at the helm when their time arrives. I’ve come to the conclusion that we are all suspicious of what we consider “other.” Young people are of course inherently different in their thinking because the times that produced them are different from the times that produced us, and the generations before us. I have always been open to the idea of young people as leaders. Youth and inexperience in and of itself is not a handicap. There is energy, a sense of accomplishing what others think impossible, a resilience and optimism that are sometimes lacking in leaders that have accumulated more life experiences. We will often value experience over vision, yet the ability to motivate and inspire others is a core characteristic of a great leader. Generation Y or WHY? deserves a place at the table today. The world is flattening and increasingly interconnected – in real time. The space-time-language-culture continuum is shortening and includes more and more people globally. Those that are leading the way are the ones who have spent the majority of their lives at home with the tools that make distance and differences melt away: technology and the Internet. I value the young people in my life and all that they bring in helping me to see the world in different way.